We offer tours for the curious beginner, the active, the epicurean and anyone the would like to experience our beautiful archipelago. The trips begins and ends at our well situated kayak centers with waters suitable for beginners as well as the more experienced paddler. We offer fully equipped kayaks from Seabird and we help you find a suitable model matching your requests and needs. 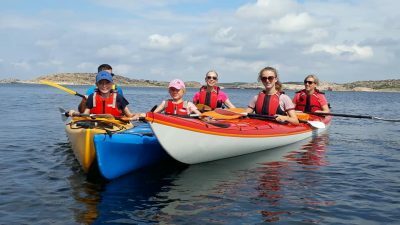 We offer safe and secure paddling in stunning environment. We also offer camping tours and kayak courses. 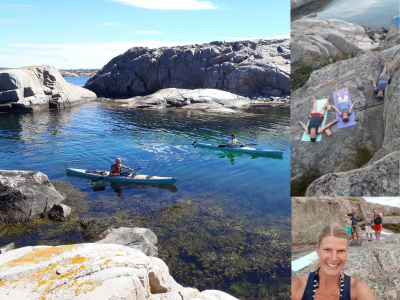 Explore and enjoy the archipelago when the buisy summer season has come to an end and the peace and tranquility has returned. 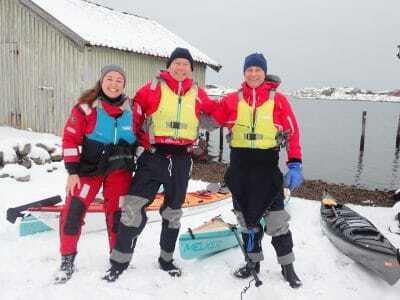 We offer secure and safe kayaking with dry suits and experienced guids read more about winter kayaking. 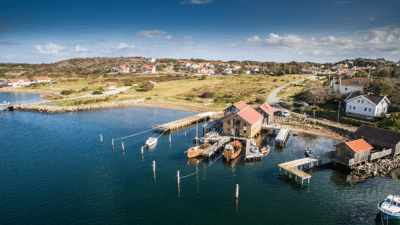 This tour takes you on an excursion in Kosterhavets Marine National Park. Paddling together with your guide eploring the nationalpark from the cockpit. The ranger provides information, history about the national park and the marine life and answer all your questions. 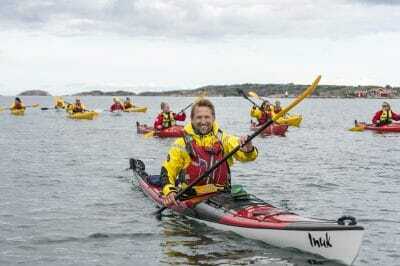 Read more about the national park paddling. If you would like to explore and learn more about our awardwinning oyesters this is the tour for you. 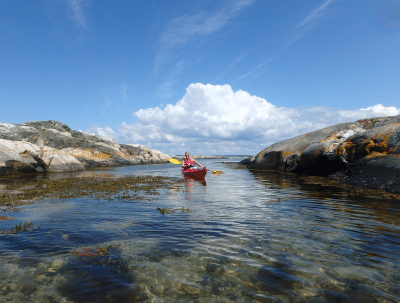 During the tour you will learn about oysters, see them in their natural habitat and aslo get a chance to enjoy them in the best possible place – the kayak! This will be an oystertasting that you wont forget. No previous experience of kayaking or oysters requered, read mor about the oyster kayak tour. 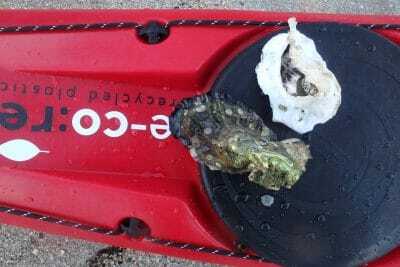 Kayak, seafood platter and oyster tasting at sea. Why choose when you can have it all! Welcome to the calm and picturesque village of Grönemad just outside the popular summer destination Grebbestad. 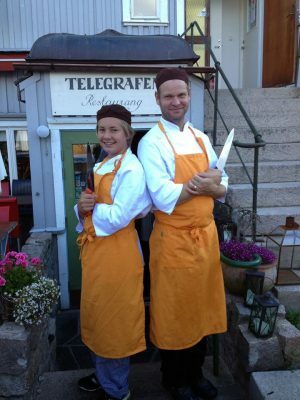 Situated here are two family run companies that has made them self know all over the world for their exclusive tours in the magnificent archipelago or west Sweden, read more. Enjoy and explore the west coast archipelago in the beautiful evening light. We start off with a basic introduction before you paddle out into the sunset and quietly enjoy the nature. The tour is enjoyed in slow pace with focus on the surroundings. If you are experienced and would like to explore our archipelago on your own without a guide this is the place to be. We are happy to assist you with route suggestions and useful information to help you plan your trip. When renting a kayak from us we can offer you to test a tent from our sponsors for free. 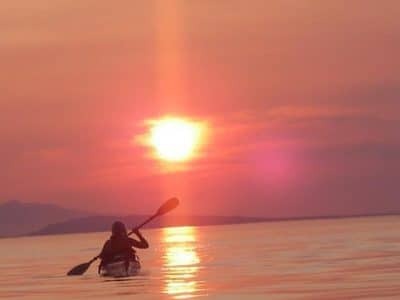 We also have camping eqipment, paddling gear that you can buy or rent, read more about our offer self guided kayak tour. Minimum 4 participants for the guided tours.